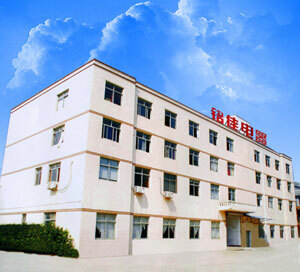 Mingjia Electric co., Ltd. is located in Taizhou, which is a professional developed & manufacturer engaged in temperature sensors & switches headquartered in Taizhou city, Zhejiang province from 2001. After over 10 years experience in designing, specifying and supplying thermistors, temperature sensors,switch, thermostats and thermal fuses, PTC heater, Mingjia has been established to meet the needs of the constantly changing and evolving thermal protection and temperature sensing market. Our product line consist 1/2’’bimetal thermostat, 3/4’’ bimetal thermostat, capillary thermostat, KST KSD thermostat, thermal switch, thermal protector ,thermal fuse, anion generator, temperature sensor, rotary switch, thermistor (NTC and PTC), NTC sensor, refrigerator defrost thermostat, refrigerator defrost timer, ion generator PTC heater, and other components. According to different customer requirements customized insurance components, and products of temperatures sensor are widely used in household appliances, various kinds of electronic equipment, and electrical components, electrical products and various kinds of small appliances electrical products for thermal protection, the electrical products indispensable for the security of accessories, most of Mingjia's products by UL, CSA, TUV, CCC, and other regulatory certification and ROHS environmental certification is widely used in the export market to Europe and the United States household appliances. We intend to continue our dedication to the foundations of our business. We invite you to learn more about our company and our products as you move through this website.